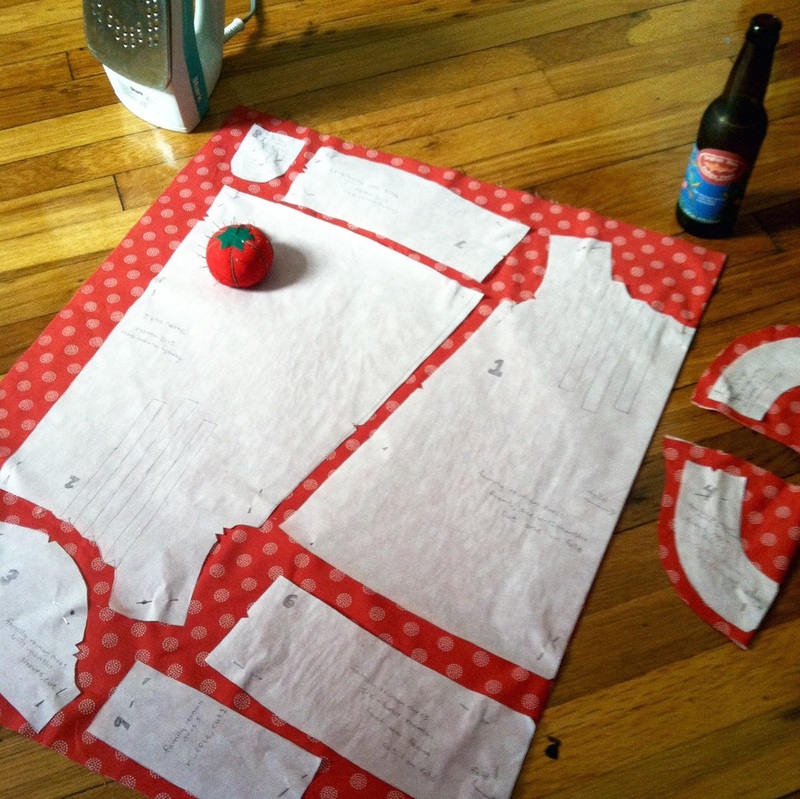 I've previously spoken about my mission to sew all the oliver + s patterns. today I'm going to share how I came to acquire them. when i was little my mother collected old nancy drew books. while other kids were reading goosebumps or the baby-sitters club, my sisters and i enjoyed nancy's adventures in her blue roadster. for years my mom's collection was almost complete, with 63 of the 64 novels published in the 1930s. no matter how many estate sales or used book stores we searched, 'The Clue in the Old Album' eluded us. on several occasions I excitedly ran up to my mother at a used book store or the Friends of the Ann Arbor Public Library sale with a copy. my mother would kindly explain to that what I had found was a reprint from the 1960s, and while it was the same story she was looking for the original version that was published when grandma was a little girl. then one day in 1996 my father and I wandered into a used bookstore near kerrytown in ann arbor. while he looked at nero wolfe books I stumbled upon the novel that had evaded my mother for over a decade. we bought it and her collection was finally complete. from the moment I finished my first oliver + s creation in the summer of 2012 it was obvious i was going to sew more of these wonderful patterns. while the new styles were available on the oliver + s website, many of the older patterns were no longer in print and only available in pdf, which of course made the printed versions all the more appealing. I soon realized many of these "lost" patterns were still in circulation at various online shops and brick and motor stores. so it became my mission to collect them all. i searched Amazon, eBay, etsy, and to the depths of the internet (i.e. way past the first page of google results). while traveling I checked out the local stores and bought patterns in seven states (Massachusetts, Michigan, Arizona, California, Oregon, Wyoming, and Pennsylvania). 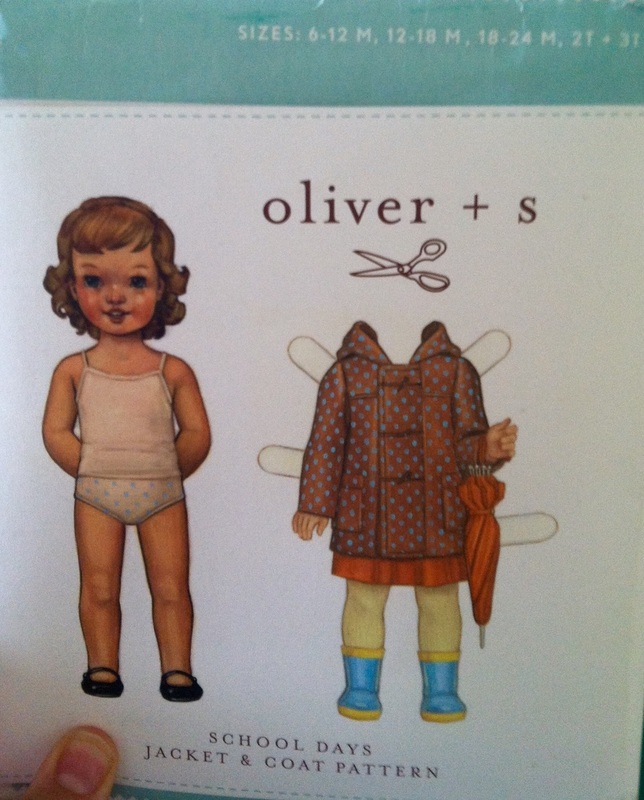 i called, which is a big deal if you know how much I hate the phone, stores without online shops but websites that proclaimed they carried oliver + s patterns. I wasn't just after the styles for little girls. Sure my sisters have daughters but what if i have a son one day?! the smaller size of the school days coat was especially tricky, but I found it in the fall of 2013. At the time I was in the process of moving from Boston to California and didn't want to risk it arriving after I left. So I had it sent to Victor...when it arrived I made him send me a picture to ensure it was the correct style and size. turns out my pickiness was warrented, as I later used that very pattern for Maya's beloved paddington costume. after a year of this strange and obsessive behavior I had just about completed my quest and owned all but one pattern: the puppet show tunic and shorts in newborn to 2T. for the next few years that pattern was my white whale. eluding me. taunting me with every adorable flickr post. sure I could have bought the PDF version. I thought about it a lot and added it to my cart on more than one occasion, but I never pulled the trigger. if it was just about owning the pattern in some format what was the point of all that searching? you see much like the nancy drew mysteries a digital pattern might be the same story, but for whatever reason I wanted the original. now that my collection is complete I better get back to sewing!